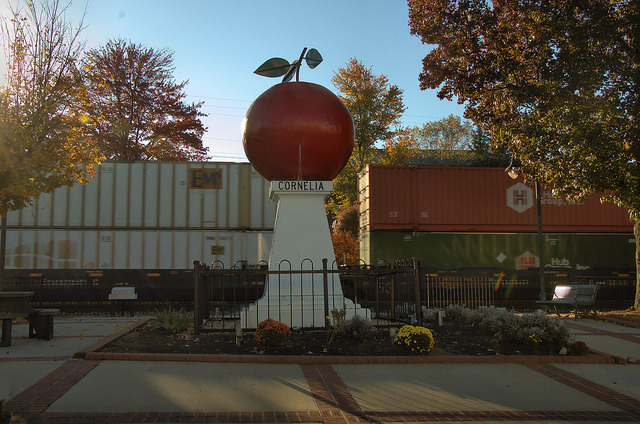 Once the largest apple market in the South, Cornelia is still a large producer. The Southern Railway gave this monument, a community icon and well-known curiosity throughout the state, to the city in 1926. 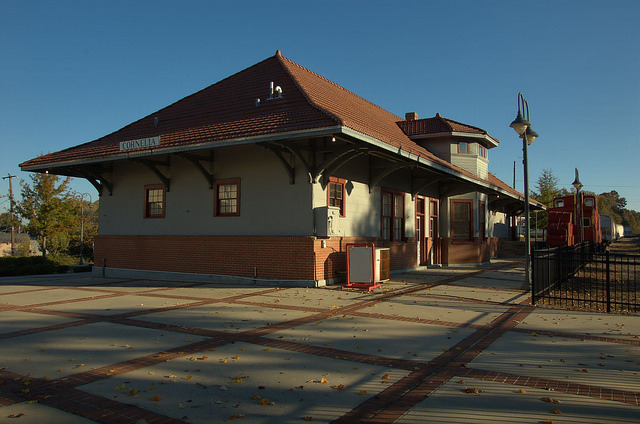 Celebrating its centennial this year, Cornelia’s historic passenger depot has been restored for use as a museum. 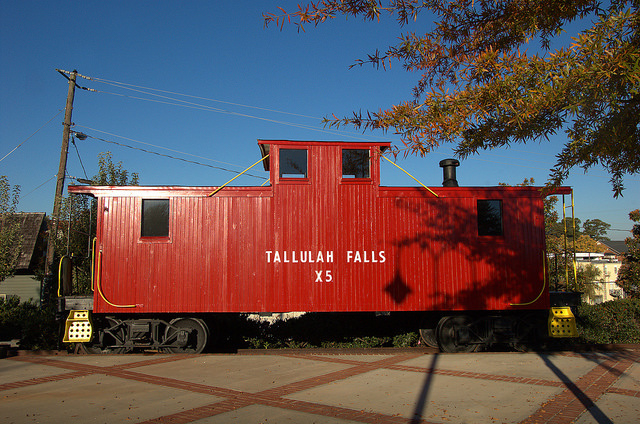 This nicely restored wooden caboose is located in the plaza near the Southern Railway Depot and is a tangible link to one of Georgia’s most historic railroads. 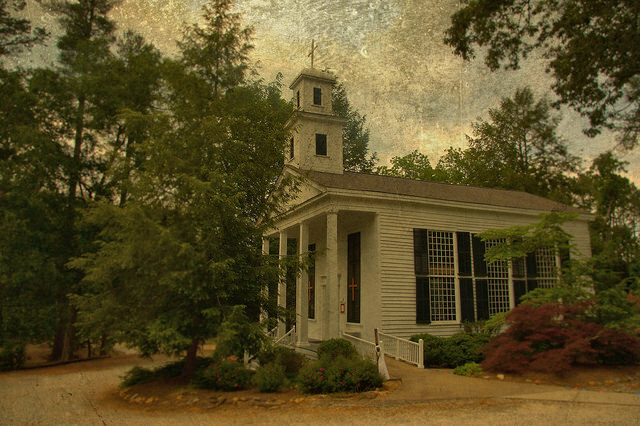 It operated from 1854 to 1961 under various incarnations, running from Cornelia to Franklin, North Carolina. The line was used by Walt Disney in 1955 as a set location for The Great Locomotive Chase. This is located on the side of Arnold Drugs. 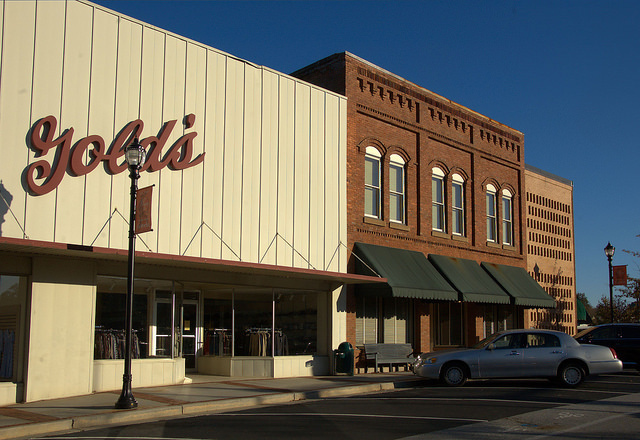 The brick structure with three awnings is the old Irvin General Merchandise Store, which is listed on the National Register of Historic Places. Built by G. B. Irvin around 1904, it was the retail center of Cornelia in its heyday. 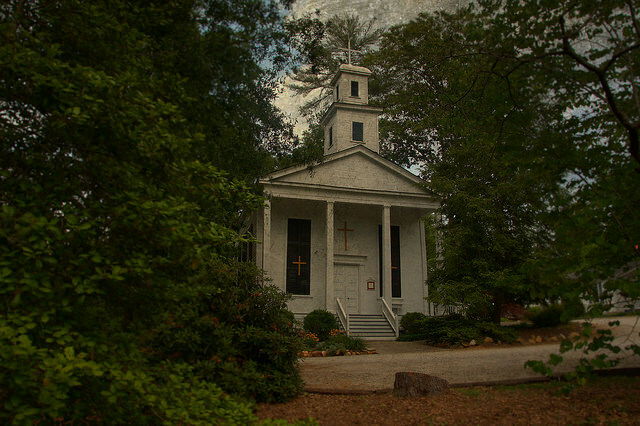 It had frontage on Irvin and Hodges Streets. 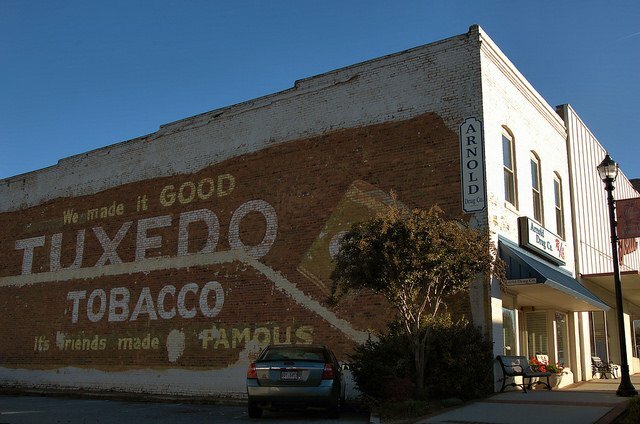 The Belk Company bought the building in 1940 and added a new facade, which was rehabilitated to its earlier appearance in the early 1980s. 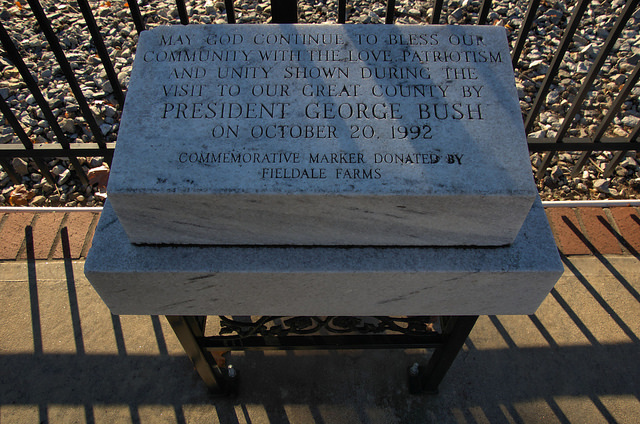 May God Continue to Bless Our Community with the Love, Patriotism and Unity Shown During the Visit to Our Great County by President George Bush on October 20, 1992.